GOOD Beginnings’ Play and Learn groups are all about having fun with your children in a stimulating and child-friendly environment. The groups provide opportunities for parents to learn more about positive parenting, ideas for healthy eating, managing childhood behaviours, information on child development, ideas on activities to do at home, as well as meeting other families in your area. 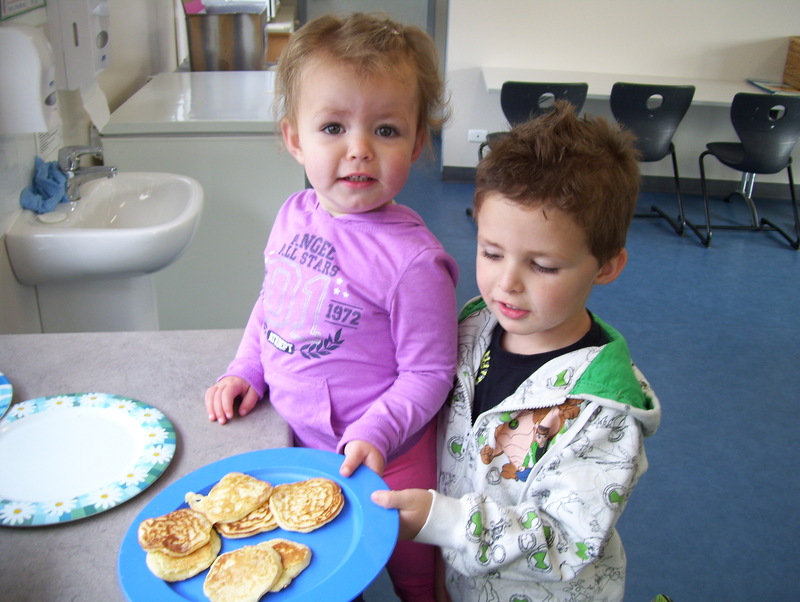 Sebastian and Nevaeh show off their pikelets. Gagebrook Play2Learn will now be offering a light breakfast that we can all prepare and share in together. Come along and share in the fun every Monday morning in school terms to meet other families, play with your children with fun and exciting toys and experiences. Please contact me for more information on all the groups that we run. Looking forward to seeing you there! BRIGHTON Council’s very own animal control officer Katrina Phillips is proud of some recent successes of her Arabian horses at two recent prestigious shows in Tasmania. The shows are regarded as the cream of the show circuit for Arabian horses. BRIGHTON’S new dentist clinic, part of the municipality’s new medical centre, has been operating for the past few weeks and already is attracting a full range of new patients from the Brighton municipality. The clinic is the only one in Brighton, with the closest dentist practices in New Norfolk and Claremont. The practising dentists in charge are Badrun Nisa Singh and husband Yadir Singh who also employ fellow dentist and colleague, Mathew Lim. Badrun Nisa Singh (front) with colleague Mathew Lim, at the new Brighton Dentist Clinic. THE strongest community response to a recent issue of concern raised by Brighton Council has been the comments I have received regarding the dramatic increases cost of energy for businesses and householders over recent years. BRIGHTON Council says excessive energy charges are placing a highly efficient local manufacturing plant at risk and has called on the Government and Opposition to bring the charges more into line with national costs. Brighton Mayor Tony Foster said the Polyfoam Australia Pty Ltd facility at Bridgewater was the most modern and energy efficient plant of its type in Australia, yet gas and electricity charges were currently up to 258 percent higher than those interstate. 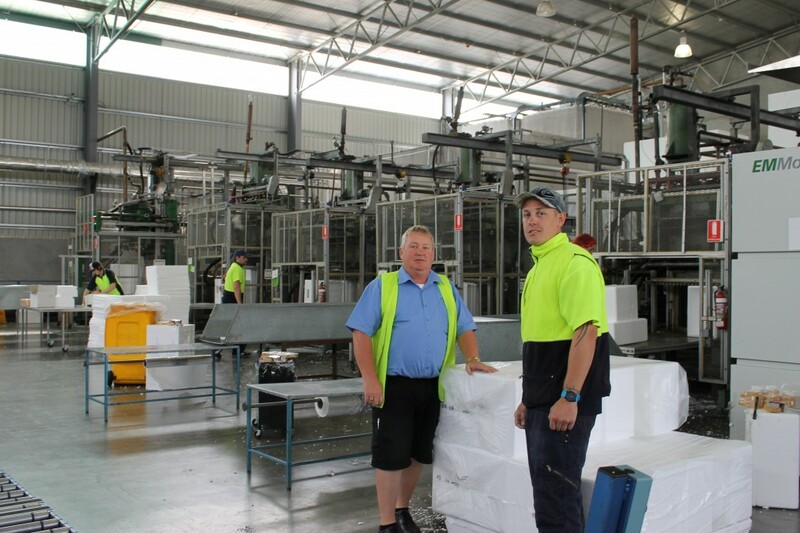 Manager Greg Riley with Adam Richardson, right, in the Polyfoam factory which supplies polystyrene containers and material for the aquaculture, agriculture, building construction and medical sectors.